Resembling a movie reel, this curved glass novelty triple photo frame is a whimsical way to display photos! 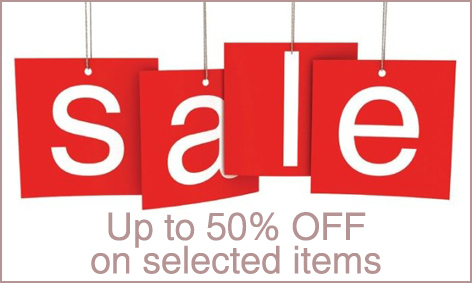 Great gift idea for photographers and wannabe movie stars! 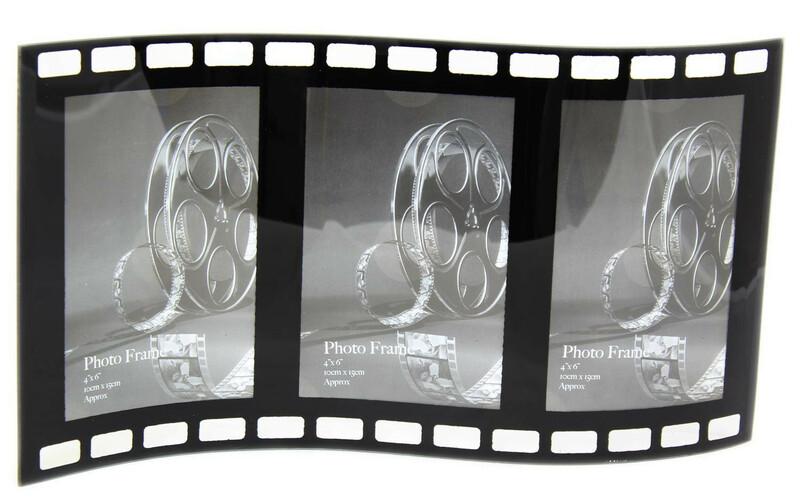 Make your loved ones star of the show with this great movie reel triple photo frame. 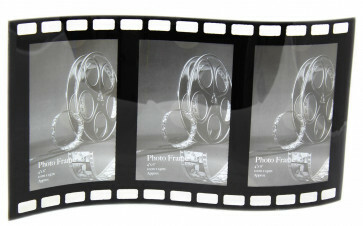 A fantastic photo frame for photographers and movie lovers, it brings a little touch of Hollywood glamour to your home. 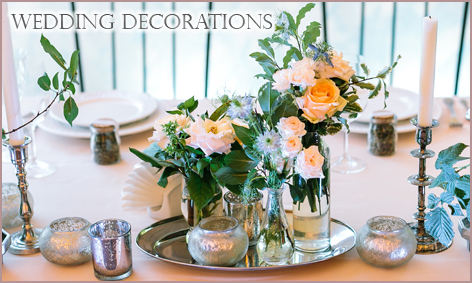 Ideal to help decorate a Hollywood or Oscars party themed setting.